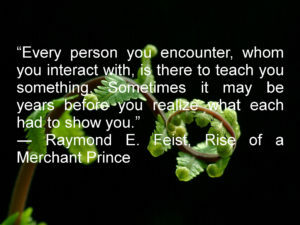 ― Raymond E. Feist, Rise of a Merchant Prince. There have been a few people who have changed my life without me realizing it, for some I never had the chance to thank them. This post is for them, those amazing ninjas of change and love. The boring moments What to do on the bad days.